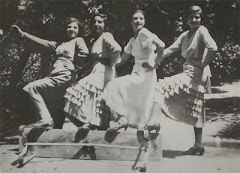 As many Israelis prepare to celebrate Mimouna, the traditional Moroccan festival which concludes Passover, Ben Hartman in the Jerusalem Post asks why this nostalgia persists despite the fact that out of a population of over 250,000 Jews in Morocco prior to the founding of Israel in 1948, only some 2,500 remain. 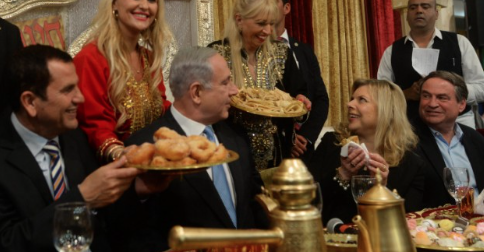 Everyone’s seen the pictures before – a politician wearing a fez, sitting in front of a pile of mufletot pastries, as well-wishers, perhaps a belly dancer or two, hover around bearing trays of sweets and mint tea in a development town somewhere in Israel. 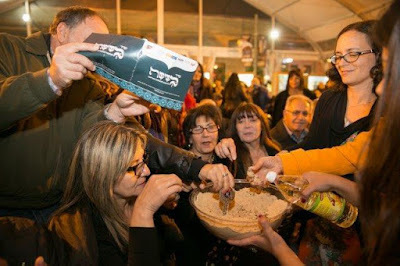 The Mimouna, a traditional North African Jewish holiday marking the end of Passover, stopped being a holiday mainly for Maghrebi Jews years ago, becoming a sort of pan-Israeli Jewish occasion for partying and binging on sugary sweets. Along the way, Israeli politicians seized upon the holiday as a can’t-miss opportunity to press the flesh, and win hearts and minds among traditional Sephardi and Mizrahi voters. To put it differently, on the morning after Mimouna, it’s a safe bet you’re going to see a picture of Shimon Peres in a fez. The stereotypes surrounding the Mimouna in Israel today are a stark departure from their North African traditions, according to Dr. Yehuda Maimran, CEO of the Alliance Israélite Universelle and a member of an Education Ministry committee, headed by Israel Prize laureate poet Erez Biton, that intends to strengthen Mizrahi identity in Israeli culture. Ms. Ziluf, whose first name translates roughly to “morning” in Arabic, is one of countless Iraqi Jews taking fresh interest in a heritage once considered unseemly, even shameful. Facebook pages with tens of thousands of followers debate the fine points of Iraqi Jewish dialect, music and cuisine. 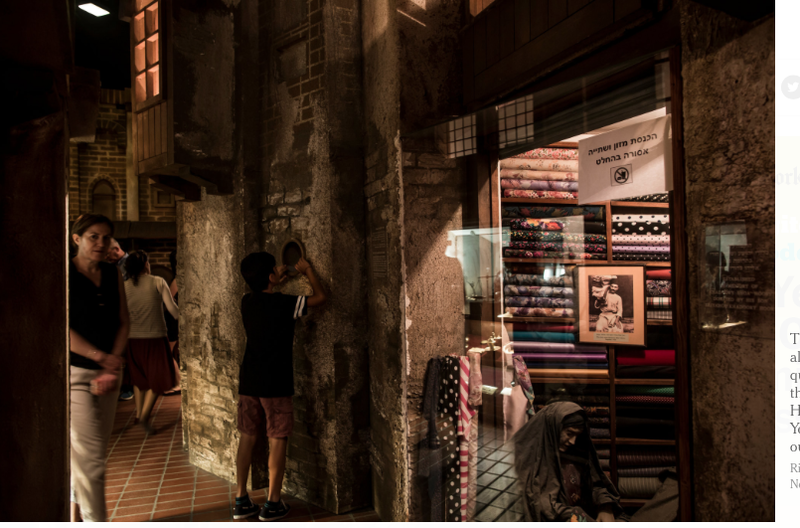 A Babylonian heritage center near Tel Aviv has drawn daily crowds of more than 1,300 people during Passover, and its number of yearly visitors has increased by more than 50 percent since 2011. Among those viewing the center’s reconstructions of the shops and crooked alleys of Baghdad’s old Jewish quarter were swarms of children, generations removed from those who experienced Babylon’s allure firsthand. “They are heroes,” Liel Ovadya, 13, said of the Jews of Baghdad, who included his grandmother Oshrat Berko, who immigrated to Israel at 15. As of 2014, there were 227,900 Jews of Iraqi descent living in Israel, according to government data. Families with ties to Iraq are among several communities of Israelis from Arabic and North African countries newly embracing their origins after struggling to be accepted by the Ashkenazi Jews of Europe, who founded Israel and for decades dominated its political, military and academic elites. The resurgent interest comes as the number of Jews in Iraq has dwindled to nearly none, and as the Islamic State and other hostile groups are sowing chaos in the streets, shrines and graveyards where Jews lived, died and celebrated their faith for nearly three millenniums. Bahrain's tiny Jewish community will have matzahs for Pesach after a mercy dash orchestrated by rabbis, a businessman and an MP. A planned delivery of shmurah matzahs went missing en route to the Gulf state earlier this week. But after Chabad rabbis in London were alerted to the problem, a last-minute operation ensured the 50 Jews in the country would receive the unleavened goods in time for Seder night. Edgware Lubavitch director Rabbi Leivi Sudak said: "We became aware there was a problem with their Pesach delivery, so we got to it. We quickly gathered supplies to send to them. "We boxed up everything - grape juice, macaroons, tea, you name it." "But when we asked FedEx how much it would cost they wanted £240 per box to send the stuff. "It was just too much and they couldn't guarantee us delivery in time." Mizrahi and Sephardi Jews have still a long way to go before they are able to join Israel's elite, a research project by Yediot Aharonot has found. The project looked at six fields (culture, the academy, security, the economy, politics and law). (Despite constituting over 50 percent of Jewish Israelis - ed), Mizrahim and Sephardim lagged behind Ashkenazim. Gamliel said in an interview with Ynet studio. "These are hard data. You can not pin the blame on one government or another. There is structural discrimination. 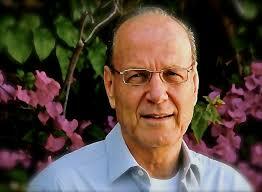 I don't believe anyone set out to offend Mizrahim, really not," said Gamliel, (who is of Libyan parentage). "There is lack of awareness". Solutions, she said, lie in education and investment in the periphery. "I think that in recent years we have seen a change in trend," said the Likud minister. 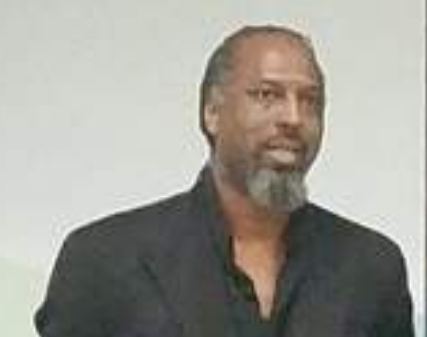 "It is an issue of connecting the periphery to the center in terms of infrastructure and transportation, and we must invest in the education system. The whole issue of e-learning will also reduce a lot of gaps. Even the health care system will see changes. " However, she concluded that "it is impossible to ignore the facts. We can not ignore the fact that there has never been a Sephardi prime minister of Israel." She said, "this consciousness-searing ultimately creates real harm." The new study, which was published about two weeks ago in the scientific journal PLOS ONE asserts that the community originated in one of the Jewish communities in the Middle East. According to the researchers, they arrived in India 19 to 33 generations ago — 600 to 1,000 years ago — much later than estimates of community members. Over 70,000 members of the Bene Israel community live in Israel today, making it the largest Indian Jewish group in the world. The researchers scanned the genetic markers of 18 community members and with the use of advanced tools compared them to those of 486 people from 41 different population groups, including Indians, Pakistanis and Jews from many diasporas (Yemen, Iraq, Syria, Iran, Georgia, Turkey, Greece, Italy, Ashkenaz — northern France and western Germany — Libya, Djerba, Tunisia, Morocco and Algeria) along with several samplings from all over the world, including non-Jewish Middle Eastern populations. The rich representation of Indian populations demonstrated that although genetically there is great similarity between the Bene Israel and other Indian groups, its members have a genetic component not found on the Indian spectrum, hinting a different origin. Other analyses demonstrated that this origin is apparently Jewish. The festive Jewish ceremony took on special significance in the world’s largest Muslim-majority country, just three years after radical Islamists pressured authorities to shut down the only synagogue in the Indonesian capital. Members of the country’s tiny Jewish community, which numbers only about 200 people, have kept a low profile following the closure of the Ohel Yaakov synagogue and a series of anti-Semitic attacks. Indonesian Jews are mostly descendants of Iraqi and Dutch Jews who immigrated in the 1920s, according to the (Hebrew) news report. Since Judaism is not recognized as one of the country’s official faiths, the identity cards of most of the country’s Jews identify them as Christians. An Indonesian Jewish woman, who was not named in the TV report, said Indonesian people’s perceived hatred of Israel and Judaism stems from ignorance. “When they say ‘I hate Jews, I hate Israel,’ you can’t really judge them, because they haven’t actually met any Jews at all,” she said. Beginning in 2014, they began as a duo and slowly added other musicians to create what is now a multi-artist, multi-instrument group. They released their new single “Layback” on April 11 and dropped their EP on the 20th. 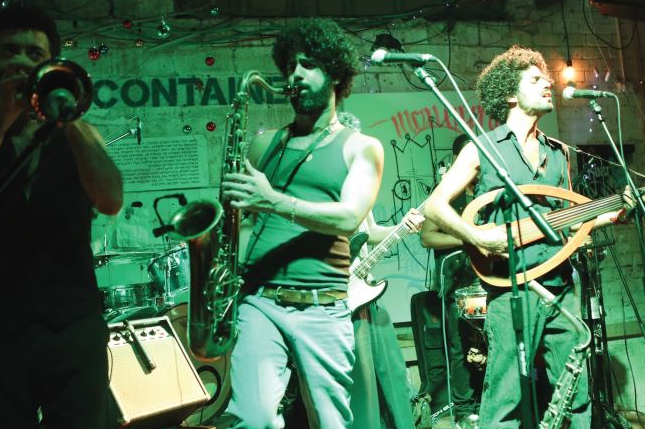 Yakir and Elyasaf sat down with The Jerusalem Post to discuss afros, Arabic quarter notes and Kendrick Lamar. Y: I’ve played since I was 10 years old. I started to play the saxophone and I studied music. I moved to New York after my studies to pursue being a musician there. I came back in 2009 and realized that I didn’t want to be just a jazz musician. I wanted to connect all of my influences to something organic; to find a unique style. It started to happen with the fusion of world music, funk and jazz. Somewhere along the way I met Elyasaf. E: I feel like I’ve been playing music forever. I started off banging on tables, then I moved to playing guitar when I was 15. Being a musician is exploring all the time; exploring instruments and life. It’s a journey. Now we’re getting to some very cool places. How did you guys come to form Quarter to Africa? E: The answer to that is it really just became. We saw each other a few times and we both have this afro kind of hair; we have similar Afro-Arab looks. Immediately we became friends and we realized that we were going to be forming a very cool band. We knew it straight away. Ever since then, we’ve been becoming. We’ve been collaborating with Avishai Cohen and Nechi Nech, who is an Israeli rapper. They’re both feature on our new single “Layback.” It’s very groovy and refreshing. Y: The song really characterizes our band. It’s a laid back way of life and you can feel it in the beat of the music. This is what makes Quarter to Africa; it’s our layback. Our musical influences from our roots and what we’ve absorbed. What are your roots? E: I see myself as a Hebrew man. Originally my grandmother and grandfather are from Yemen. But that’s the story of Israel; all the cultures get mixed up together into this Afro-Arab sound. Y: My mom’s side is from Iran and my dad is from Iraq. But he lived by a lot of Moroccan and Yemenite people. So the folklore music is very much in me. Y:The band is named after the quarter note. In traditional Arabic music, they have a different kind of scale system that uses only quarter notes. So the name comes from that Arabic sound. It also comes from the continent right near us that we believe is within the foundation of Jews in general. Passover Food - Sephardic Passover dietary law rulings permit the use of kitniyot [generally speaking, kitniyot (singular form: "kitnit" or "kitneet") include small fleshless seeds of annual plants that an individual might ground into flour], and their derivatives in other products. Examples are: ascorbic acid, calcium ascorbate, caraway seeds, castor sugar, chick peas, citric acid, corn, custard powder, dextrose, dried beans, dried peas, glucose, green beans, icing sugar, lecithin, lentils, mustard, rice, sesame seeds, soya beans, soya products, starch, sunflower seeds, tofu, and their derivatives in food and beverage products in cooking during the Passover festival. In practice, most - but not all - Sephardic communities eat products containing these grains and legumes and their derivatives during Passover. However, like Ashkenazim, Sephardim forbid the use of chametz grains, which include: barley, oats, rye, spelt, and wheat, during the Passover festival, except when making matzah, in which case any of the 5 chametz grains MUST be used so that it simulates the situation that the Hebrews experienced when they tried to bake their bread as they prepared to flee Egypt. Furthermore, Sephardim, like Ashkenazim, are forbidden to come in contact with or even have in their possession in their household any chametz. Chametz includes leavened foods, drinks and ingredients that are made from or contain wheat, rye, barley, oats or spelt. Therefore, all grain products such as breads, cereals and other breakfast foods, grain alcohol, grain vinegar and malts, are forbidden during Passover. Some Sephardic communities will eat rice and kitniyot during Passover but must check them three times prior to the Passover festival to make absolutely certain there are no kernels of chametz in the rice or kitniyot, in accordance with the Passover dietary laws for chametz. In addition, out of the concern for an accidental mixture of kitniyot flour with chametz flour, Sephardim will only use fresh legumes and not dried legumes, unless the dried legumes were dried for the specific purpose of being used for the Passover festival. Despite these restrictions, Sephardim and Ashkenazim agree that having possession of kitniyot (Sephardic pronounciation) / kitniyos (Ashkenazic pronounciation) - but not consumption of kitniyot/kitniyos for most Ashkenazim and some Sephardim - is permitted during the Passover festival. 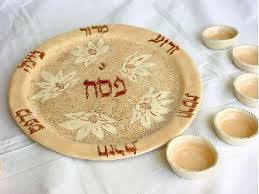 Wishing all Point of No Return readers who are celebrating Passover, Hag sameah and Moadim lesimha! 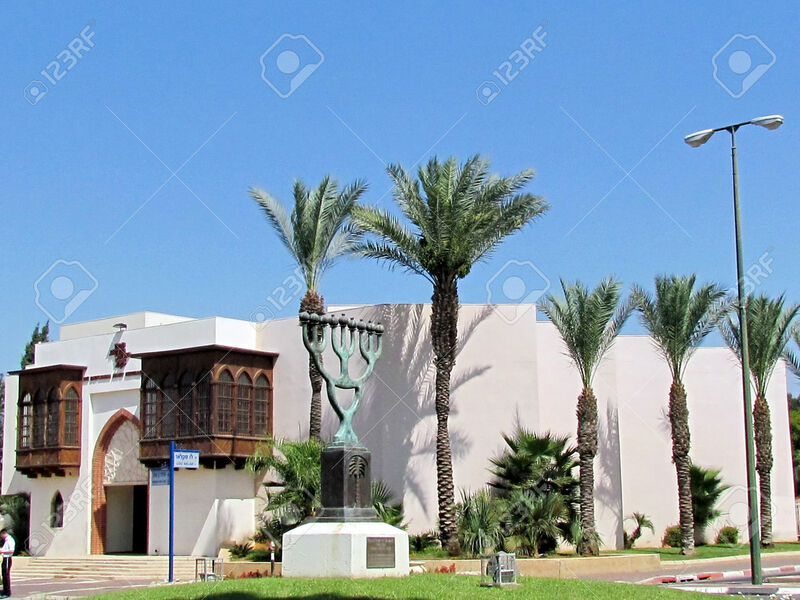 Mohammad al-Madani, a close associate of Palestinian Authority President Mahmoud Abbas and head of the Committee for Interaction with Israeli Society, met with Israelis of Iraqi heritage at the Babylonian Jewry Heritage Center in Or Yehuda Wednesday. 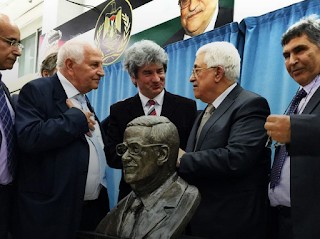 Speaking to the gathering, al-Madani expanded on the Passover greetings he extended to Israel days previously with a message of warning, saying that in the days after Abbas leaves his position, "the idea of peace might slip away." "We Palestinians, both in the leadership and the people, many fear the day that Abbas ends his ministry," he said. "(We are afraid that) the idea of ​​peace and the peace plans will elude us. May God prolong his (Abbas') life, but it will end naturally or maybe otherwise," he ended, without expanding on what or who may intend to threaten the PA president's life. Another member of the delegation, Dr. Ziad Darwish, said openly that after Abbas there will be no partner for peace for Israel to deal with, and therefore it's necessary and prudent for Israel to hurry up and advance the peace process. The Palestinian delegation brought three gifts to their hosts: two giant images of Baghdad from the first half of the 20th century, and authentic sweets from Iraq brought by a special messenger from the country. The myth of peaceful coexistence is the shaky foundation on which Ron Gerlitz, writing in + 972 magazine, builds his fantasy of a Left led by Mizrahim. The comment below by Maurice Harris, whose grandfather fled Casablanca, should take him back down to earth. I’m not a historian, nor am I naïve. The relations between Moroccan Muslims and the Jewish community, the largest and virtually most prominent in the Islamic world, were not always ideal. Quite a number of violent clashes took place throughout history. But as a general rule, the Jews were respected, seen as an integral part of the Moroccan nation, and safeguarded by a special decree of the royal family. Until 1964, the year the aliya from Morocco ended, there was a large, powerful, organized Jewish community in the country. Some of its members were also very wealthy. That was the same in Europe until the destruction of its Jewry. But unlike the European civilization, which abused and humiliated its Jews throughout its history, and in the end murdered millions of them and spewed out the rest, here Jews and non-Jews lived together amicably for 2,000 years. What can we learn from that about the possibility of having similarly cordial relations also in Israel, in our little piece of land torn by strife? It’s hard to answer that question unequivocally. We are embroiled in a violent conflict in a small piece of land that both our nations call home, while many elements on both sides don’t even recognize the other side’s claim. But in Morocco I was able, time and again, to imagine good relations between Jews and Arabs. When I walked around mellahs in the various cities, in the well kept and safeguarded Jewish cemeteries, in the active synagogues, when I saw us shedding our fear and walking around the heart of a Muslim city even at night, I was able to imagine Morocco of the olden days and how it could be the same here in Israel. Given the dreary situation, it may seem like a pipe dream, but the first step towards a better future is wanting to get there. I'm a long-standing supporter of the peace movement in Israel, and I have appreciated +972 for a long time as well. I'm troubled by aspects of this article, as the son of a Jewish refugee from Morocco. My relatives were subjected to repeated episodes of intimidation and violence living as Jews during the upheavals of Morocco in the 1950s. They were expected to show public deference to Muslims in public, and while they generally speak of good historic relations between Moroccan Jews and Muslims, they also speak of how quickly all of that unravelled as soon as Jews became a suspected wedge group in the fighting between the French colonizers and the Arab independence fighters. My grandfather, who had worked his whole life to build a furniture factory in Casablanca, first had his business seized and assets frozen. The family was large - lots of kids - and they began to struggle with hunger and fear for their future. Eventually, my grandfather was targeted to be killed by the al-Fatah movement, and a Muslim friend of his gave him the warning. My family had to flee in the middle of the night, leaving behind their home (which now belongs to a Moroccan Arab family), traumatized and in panic, smuggling themselves aboard a boat that carried them to a refugee camp in southern France, while they waited for passage to Israel. Your article has a sentence that implies that the exodus of Morocco's Jews was "orchestrated by Israel," as opposed to perpetrated by the Arab majority upon the Jewish minority. This is just as problematic a claim as the inaccurate claim that some on the Israeli right make in which they claim no responsibility for the Palestinian refugees of '48 because, they argue, Arab military commanders told them all to flee so they could throw all the Jews into the sea. My Moroccan relatives who lived through those times remember a country they loved but also a country that did not see them as integral to itself, but rather treated them with a conditional tolerance that insisted they know their place as less than first class citizens, a tolerance that fractured once the political situation got ugly and complex. It is true that at the simplest level this is a mere evasion. Dudai was forced to use this definition in order to respond to a Haaretz article that charged that the team never had an Arab player playing for it. Dudai obviously knows what kind of "Arabs" were meant. No one thinks that Beitar Jerusalem refuses to hire "Mizrahi" Jewish-Arabs. If Dudai needs a hint to what kind of "Arabs" were meant, they are the same as those referred to by Beitar Jerusalem fans when chanting "Death to the Arabs" during games. People don't usually call for their own demise. But since Dudai decided to introduce identity discourse into Teddy Stadium, into the kingdom of "La Familia" – it is worthwhile to try and understand why he decided to respond the way he did. On the face of it – when Beitar's spokesman says the team's owner, many of its players and a major portion of his teams fanatic fans are "Arabs" – he risks finding himself in a dangerous corner if those calling "Death to Arabs" view his distinction through a less intellectual lens. But Dudai's statement had a second part: "Haaretz is a cadaver being artificially kept alive by some Ashkenazi elite living in an ivory tower in central Israel, which is trying to keep it alive by issuing provocation after provocation." And once both parts are read together the argument in its entirety comes to the fore: Haaretz is an Ashkenazi newspaper, Beitar is a (Jewish) Arab club; Haaretz is complaining about the exclusion of Arabs, but Haaretz too excludes Arabs (of the Jewish kind). So, before you preach to us on the exclusion of (Christian and Muslim) Arabs, include (Jewish) Arabs yourself. Or in other words: As long as you exclude us, we will exclude them. This isn't as complicated as it seems: Dudai is complaining about the priority order in Israeli society. Haaretz is looking after Christian and Muslim Arabs before Jewish Arabs. And in a wider context: The old elite (Male, white, Ashkenazi, Tel-Avivian, privileged, etc.) is looking out for everyone who is behind us in line. It left us outside of the club for decades, so what is the surprise that we are leaving them out of the club for decades too? 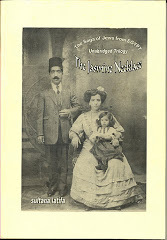 The local Egyptian Jewish community in Cairo has unilaterally 'given away' unique and priceless books and registers in the Adly St and Benezra synagogues to the Egyptian authorities. 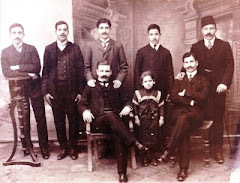 A team from the National Archives has since descended on the Jewish community of Alexandria, which is under separate management, to seize religious and civil identity registers. 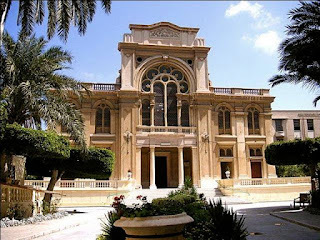 Egyptian Jews in the West have expressed outrage at these developments, but their anger is mainly directed at Magda Haroun, who leads the tiny group of eight people known as the Jewish community of Cairo.
" One can legitimately ask what authority did they have? If you are the last one to switch off the light does that automatically give you the authority to empty the house?" says Yves Fedida of the London- and Paris-based International Nebi Daniel Association. However, the seizure of the Alexandria registers took place without the consent of the five Jews still living in the city. There are five libraries in five synagogues in Egypt dating back to 1830. 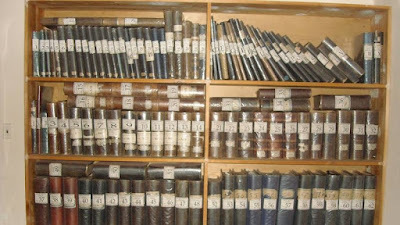 The contents of the Adly St synagogue library were catalogued in 2009 - 2010. The Nebi Daniel Association complains that access to these libraries has been denied since 2010 when this video was taken. The International Nebi Daniel Association has campaigned for 14 years for Jews living outside Egypt to have access to communal records. They have not been even allowed to scan or photocopy personal documents. The Association wanted the Egyptian authorities to establish a Museum of Jewish Heritage. Such a museum would be empty of its contents.Yves Fedida likens the seizure of registers to the robbery of Tutankhamen's tomb. 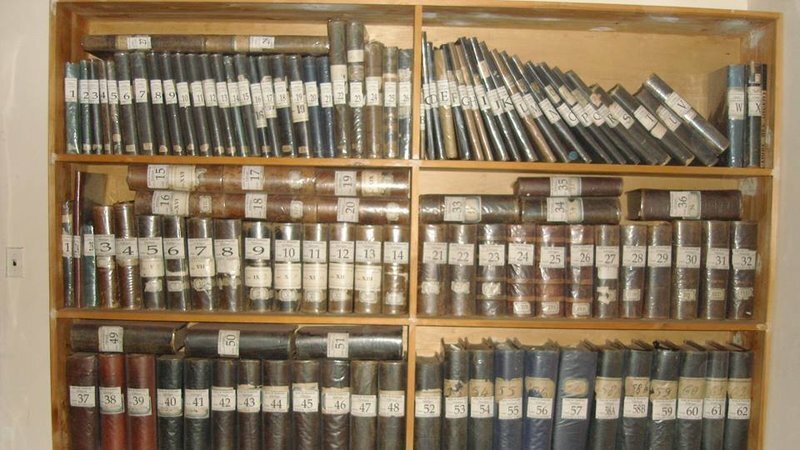 News of the library seizures undermines the Association's recent efforts to draw the government's attention to the urgent need to preserve Egypt's Jewish heritage. Last week, the Association presented a petition with almost 1, 500 signatures to President al-Sisi and to nine Egyptian embassies around the world. 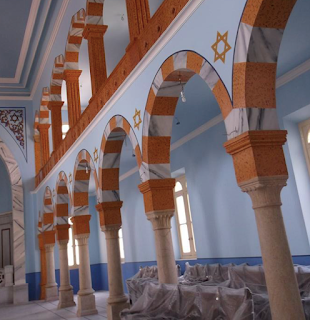 Egypt's Jewish heritage is literally crumbling away. 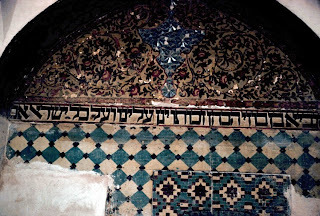 Part of the ceiling of the ladies' gallery in the Nebi Daniel synagogue in Alexandria collapsed recently. 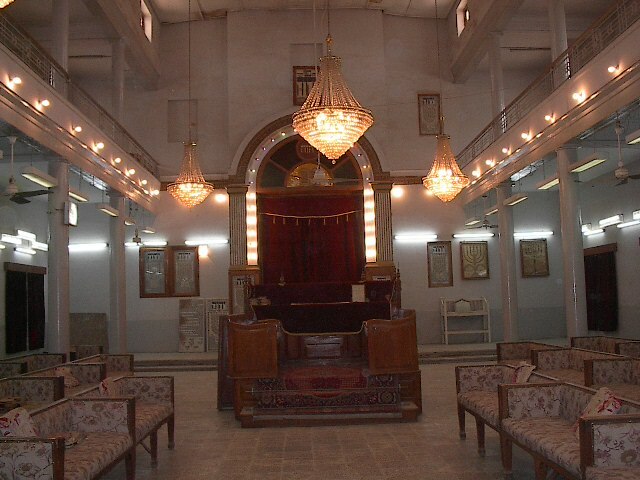 Since the Arab Spring, the Egyptian government has not allocated funds to restore and maintain synagogues. 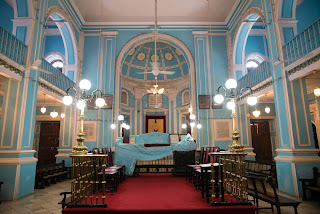 To sign the petition to save Egypt's Jewish heritage, please click here. Official recognition would make it easier for Jews to register marriages, establish educational institutions and “practice and promote our culture,” Rabbi Ezekiel Isaac Malekar, the Delhi Jewish community’s head, told IANS, which reported on the application Tuesday. The news service did not say when the community’s previous application was made or why it was unsuccessful. India has six official minority communities: Muslims, Christians, Buddhists, Sikhs, Parsis and Jains. “Jews have been part of the Indian society for 2,300 years now. But post independence, we have not been recognized as a minority,” Malekar said. 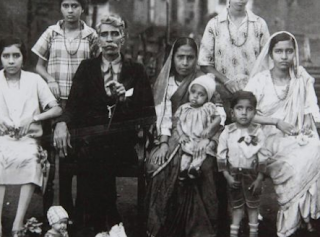 In recent years, dozens of Jews from northeast India claiming to be the descendants of a lost biblical Jewish tribe emigrated to Israel after years of controversy over their connection to Judaism. Today is the 71st anniversary of the liberation of the Nazi concentration camp of Bergen-Belsen. 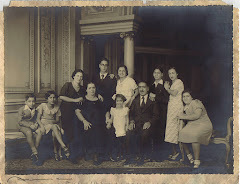 It is not widely known that almost 900 Libyan Jews of British nationality were deported to Italy. From there most were taken to Bergen Belsen in 1944. The reason why almost all these Jews were thought to have survived is that the deportation took place late in the course of WWII. Jews were also exchanged for Prisoners of War. Sharifi, in Israel as a guest of the Foreign Ministry for five days, told The Jerusalem Post from the Knesset that Israel was making a mistake in allowing secret visits by Arab officials. Instead, he said, these visits should take place in broad daylight. The Baghdad-born Sharifi has served in the Iraqi Embassy in Kuwait, as the deputy chief of mission at Iraq’s embassy in Jordan, and as an adviser after the fall of Saddam Hussein in Iraq’s Defense Ministry. 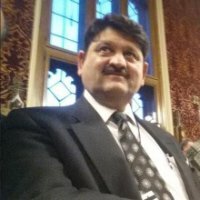 He currently lives in London, and heads an organization called the Liberal Muslims. 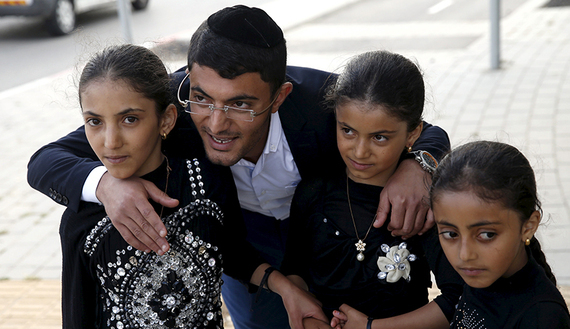 Sharifi arrived on Sunday, and went immediately to a meeting with Iraqi-born Jews in Or Yehuda. “I want to give an example that Iraq and Israel can achieve peace through people, and the bridge to that peace is the Iraqi Jewish community here,” he said. Last month Kaabiah brought a group of journalists from Syria, Lebanon and Iraq, and in the coming months he hopes to bring a delegation of Jordanian university students. You cannot understand the Middle East unless you understand the Jews from Arab countries. 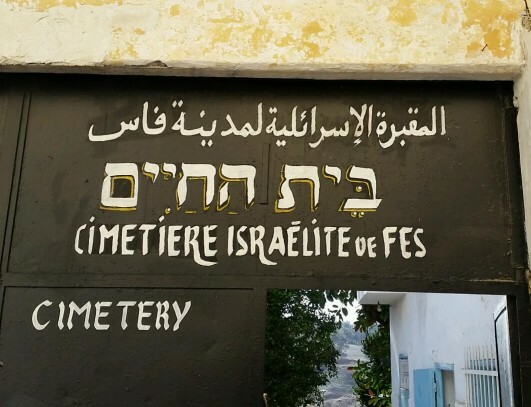 In this articulate blogpost, Joseph Timan explains why an appreciation of the experience of Jews in Arab countries is fundamental to the Israeli psyche, swinging Israeli elections to right-wing parties. I’ve grown accustomed to the sheer surprise on people’s faces when I tell them that my parents are both Jewish and Iraqi. Yes, we exist. 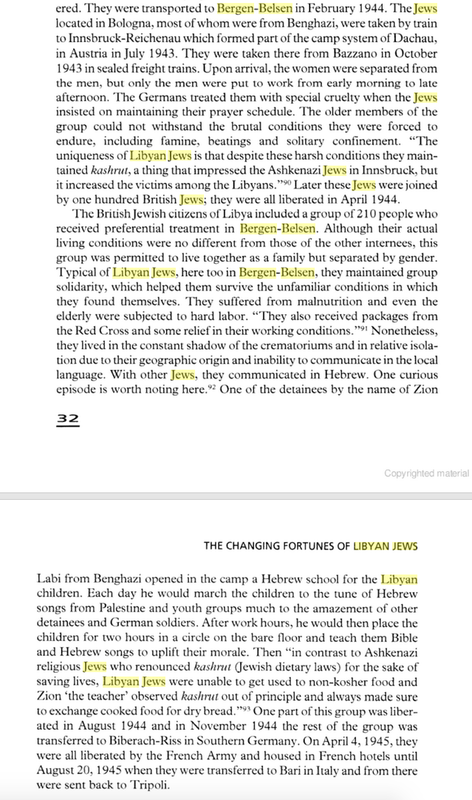 And so did Jewish communities in other Arab lands, the largest of which were in North Africa, but also notably in the Middle Eastern countries of Yemen and Syria. 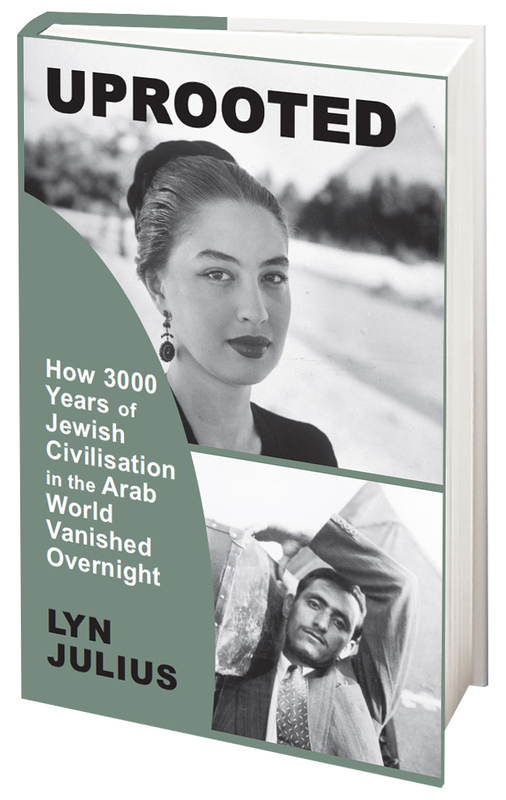 Jews living in Arab countries of the Middle East and North Africa once totaled 800,000. Today, with few exceptions, these communities no longer exist. Having previously taken some pleasure out of the surprised response I receive, I’ve now realised how incomplete an understanding of the Arab-Israeli conflict is, in the absence of the historical narrative of Jews from Arab lands and their descendants, who make up half of the Israeli electorate. Having lived in ‘the West’ all of my life, the majority of people I encounter who have met Jews, tend to have met Jews of European descent, or Ashkenazim. Those who haven’t yet had the fortune of such an encounter, tend to presume an image of the European all the same. After all, we ‘Jews of Colour’ make up a minority of the Jewish population in Europe and North America, which is predominated by Ashkenazim. But this isn’t a strictly non-Jewish phenomenon. Throughout my time at the largest Jewish school in Europe, the surprised reaction, although less common, was still there. Our minority representation in the British Jewry made this ignorance an unquestioned given. (...) the most fundamental, and yet most overlooked factor is the shared historical narrative of the ‘ethnic’ electorate which swung the election and has shifted Israeli political discourse further right ever since. Although anti-Arab sentiment may not be at the forefront of voters’ minds, their experiences in Arab countries has a profound impact on their trust, sympathies and attitudes towards Palestinians and Arab Israelis, who are seen in many ways as the same enemy. What’s more, the politicisation of anti-Zionist and anti-Semitic sentiments within Islam, intensified a fear and distrust of Muslims – a fear perpetuated by continued anti-Semitism in parts of the Muslim world, and just over the border by Hamas in Gaza. The fact that this ethnic group make up half of the Israeli electorate, and have at points outnumbered their European counterparts, makes this shared historical narrative a fundamental characteristic of the Israeli psyche. "This very important meeting of 70 Israeli representatives of Israelis from Arab Countries, is only the beginning of a new kind of "negotiation with the Palestinians" where our 'Ashkenazi' government (sorry for this quote) failed until now. "We got a special letter from our Prime Minister Bibi Netanyahu asking us to go. He reminded us of the time a few years ago, when Netanyahu finally appointed a Jew from Egypt - David Meidan-Mosseri - to negotiate the release of Gilad Shalit. He succeeded, after many years of failure, sadly, by 'Ashkenazi' representatives. Only organizations from Arab Countries who wanted to go would be part of this very important Mission to Ramallah - and all of them were there. "For the first time ever, this important turning point in Israeli history - led by Jews from Arab countries - was fully covered by the TV News, radio and newspapers. Not that we are sure it will bring peace soon, but it is our duty to try.
" Next week, we are going to have a special General Assembly of Jews from Egypt - in our Cultural Center of Egyptian Jewry in Tel Aviv - to decide whether to issue an invitation of a Palestinian Mission to our Center in Tel Aviv, to discuss with them how they should stop the incitement and terror as the first thing to talk about. We as Sephardi Jews, always wished to be part of those "negotiations" led so badly by people like Tzipi Livni or MK Hilik Bar, Vice-chair of the Knesset. In his recent working paper presented at Harvard University-Boston, MK Hilik Bar said again that Jews from Arab countries should present their claims to the Arab countries, and only Palestinians should get compensation from the International Fund. Our Coalition Board, of Jews from arab countries Organisations, is going to meet with MK Hilik Bar soon after Pesah, to tell him how wrong he is." A letter by one Massoud A Derhally denying that the Safra banking family had left Lebanon for Brazil because of persecution, and suggesting that Jews in Lebanon were never specifically targeted, has been rebutted in the Financial Times by Lyn Julius. Here is the full text of her letter. Sir, Massoud A Derhally (Letters, April 8) perpetuates the fiction that Lebanese Jews left as a result of sectarian strife. In 1948 Jews were arrested and interned as Zionist spies. Rioting and antisemitic incidents such as the 1950 bombing of the Beirut Alliance Israelite school, killing the principal, occurred throughout the 1950s and 1960s, culminating in the flight, in the wake of the 1967 Arab-Israeli war, of 5, 800 Jews out of 6, 000. Hizbollah later kidnapped and executed 10 Jews. Although the Jewish community — which dates back, not to the Spanish Inquisition, but to 1, 000 years before Islam — was one of 18 whose “rights” were protected under the Constitution, Jewish civil servants, and even Jewish soldiers who had fought for Lebanon, were dismissed. 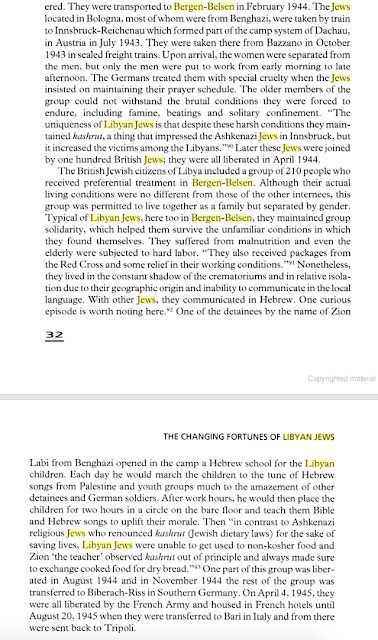 Jewish schools and synagogues were requisitioned to house Palestinian refugees. 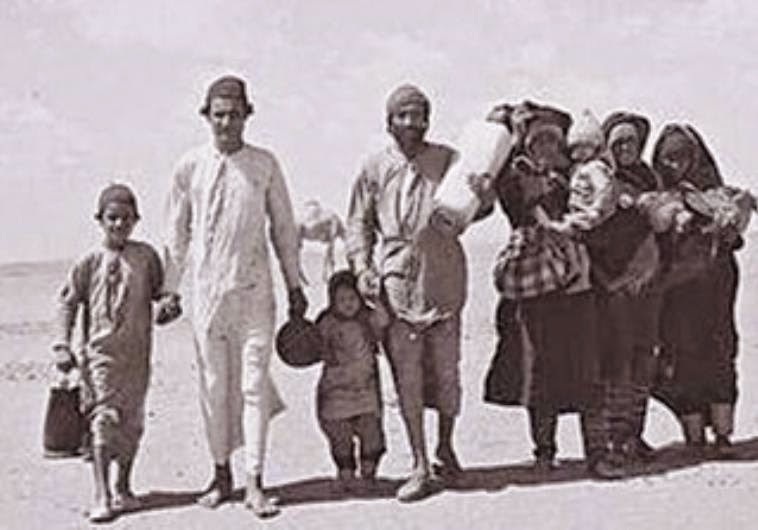 Some 800, 000 Jews were driven from Arab countries: it is disturbing that their history is being sanitised in order to absolve Arab countries from the crime of “ethnic cleansing”. The violent Islamic intolerance of the “infidel” was reflected by the highly-ignored and misrepresented persecution and expulsion of 820,000 (856,000 is the figure most often cited - ed) Jewish refugees from Arab lands, which exceeded the scope of the Palestinian Arab refugees, occurred well before the 1948-49 Arab war on Israel, and persisted following the war. The CIA assessed that “a second Jewish Holocaust in less than ten years” would occur in response to the establishment of a Jewish State. In fact, 820,000 Jews were expelled from Arab lands, before (incorrect: individuals may have left, but Jews were not expelled before 1948 - ed) and following the 1948/49 War, robbed of billions of dollars’ worth of property, while Arab masses lynched, raped and looted Jewish communities. 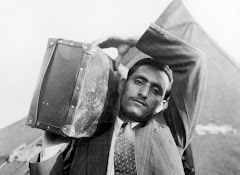 240, 000 Jews were expelled (not strictly 'expelled' - more 'ushered towards the exit') from Morocco, 140,000 from Algeria, 105,000 from Tunisia, 38,000 from Libya, 70,000 from Egypt, 5,000 from Lebanon, 25,000 from Syria, 135,000 from Iraq, 55,000 from North Yemen, 8,000 from South Yemen. 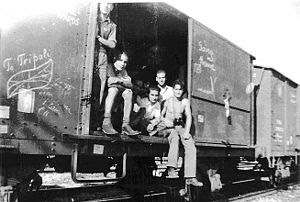 Unlike the well-documented number of 320,000 Arab refugees of the 1948/49 Israel’s War of Independence, the Jewish refugees did not engage in subversion and terrorism against their host countries; did not join invading military forces, which aimed to destroy their host countries; and did not collaborate with Nazi Germany. 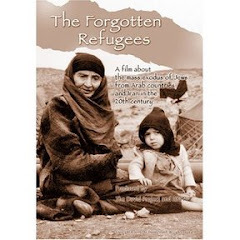 Unlike the 320,000 Arab refugees – most of whom were migrants with 20-100 (some as little as two) year old roots - the Jewish refugees had deeper roots, preceding the appearance of Islam: 2,500-year-old roots in Iraq, 500-2,000 years in Syria and North Africa, 2,000-3, 500 years in Yemen, etc.. 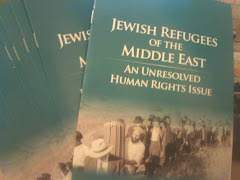 Unlike the Arab refugees, who were uniquely accorded a perpetual refugee status, uniquely inherited by their descendants, the Jewish refugees were fully absorbed in their new homes (600,000 in Israel). 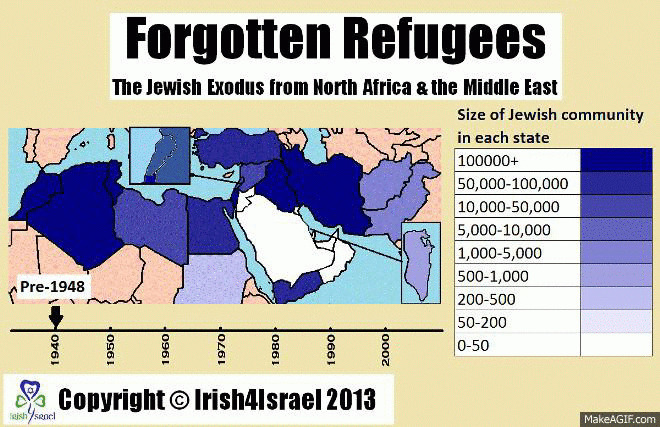 None of the Jewish refugees, nor their descendants, retained refugee status. Moreover, the Nazi “Yellow Patch” originated in Arab lands, where Jews – and other “infidels” - were forced to wear a “Yellow Badge of Shame” (Christians were assigned pink badges), as well as yellow belts, honey-colored hoods, yellow headgear, in addition to paying “infidel tax” (Jizyya, per the Quran, Surah 9, verse 29), prohibited to build tall homes and testify against “believers,” and were forced to place “infidel” signs on their homes. “The Protocols of the Elders of Zion,” authored in 1903 by Russian anti-Semites and widely-employed by the Nazi Germany in order to legitimize the extermination of Jews, continues to be a bestseller on the Arab Street. The Nazi propaganda machine was introduced into school curricula, intensifying Islamic anti-Semitism. Thus, in December 1947, Arabs murdered, looted and expelled Syrian and Yemenite (actually Adenite) Jews, burning synagogues, Jewish schools and shops. 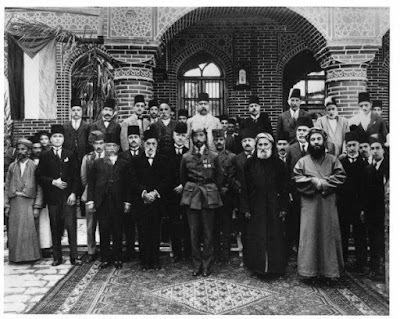 In 1936, Jews were terrorized and murdered in Baghdad (not on the same scale). On June 1-2, 1941, a pro-Nazi Farhud (pogrom) was conducted against Baghdad’s Jewish community, murdering 180 Jews and destroying their homes. In 1947, Jews were hung, raped, imprisoned, fired from civil service, accused of poisoning Iraq’s water and poisoning children’s sweets. In 1945, Arab mobs murdered, raped and looted Jews in Egypt and Libya. On Rosh Hodesh, the first day of Nisan, the Jewish month during which we celebrate Passover, Jews from Tunisia and Libya partake in a ritual called “Bsisa” or “El Bsisa.” The ritual serves as a bridge between the holidays of Purim and Passover and takes place entirely in the home. The ritual is centered around a dish called the “Bsisa” which is made in a deep bowl and is filled wheat, barley, dried fruits, honey, olive oil and other sweets. Since in the biblical narrative, Rosh Hodesh Nisan is the culmination of the building of the Mishkan, the holy tabernacle in the desert, the dish is meant to replicate what Moses made in celebration of completing the building of the Mishkan. The ritual differs from community to community in Tunisia and Libya, but according to those who remember celebrating the custom in those countries there are a number of important features. In all communities the focal point of the ritual was the turning of a key in the Bsisa mixture while a blessing in Arabic was recited (see translation below). In addition to the traditional formulaic blessing, it was common for the mother of the family to offer additional blessings. In some communities it was common to lock the doors of the home from sundown until the next morning and not allow any members of the house to leave. In others, women took off their gold necklaces and bracelets and placed them in the “Bsisa” to symbolize the gold that women donated to the building of the temple. What is clear throughout these various customs is the mirroring or replicating function that the Bsisa played in offering the celebration of the building of the Mishkan and the Temple to be understood on the level of each individual home. The role of the mother of the family cannot be understated in this ritual. In many communities the preparations for Passover were incredibly time consuming and intensive. In Tunisia and Libya, Jews would begin making matzah immediately after Purim and the entire community would join together in preparing for the holiday. Amidst these intense preparations, the Bsisa would mark the high point in the work leading up to Passover. It is clear that not only did women lead these preparations but they also did so with great intention and leadership. Ingredients: 2 cups Barley (cooked), ½ cup wheat berries (cooked), date honey, almonds, dried fruit (dates, figs etc), fennel seeds, coriander, additional sweets, candies and olive oil. It is also traditional for women in the family to place gold jewelry in the Bsisa mix in memory of the gold that women donated to building of the Mishkan. Place all ingredients in a deep dish or bowl and mix them slightly- additional mixing will happen later. The head of the household pours the olive oil into the Bsisa while mixing with the oil and ensures that the oil covers the fingers of each members of the house. The blessing for the Bsisa is recited and any general blessings that the mother has for the household are included. Each member of the family then takes the key and individually turns the key in the Bsisa mix. The key can be used as a spoon as well. While the member of the family turns the key they recite the Bsisa The mother of the family then adds additional individual blessings for each individual. It was a busload of visitors like no other. A group of Jews from Arab lands had come to Ramallah. They came to convince the Palestinian president Mahmoud Abbas (Abu Mazen) to re-start peace talks with the Israeli Prime Minister Benjamin Netanyahu, who gave his consent to the visit. Like interfaith meetings, this one dwelt on the superficial affinities between Sephardi/ Mizrahi Jews and Arabs in language and culture. Elhanan Miller in The Tablet reminds us of what Abbas wrote about Sephardi Israelis - a catalogue of contradictions. At least his writings had acknowledged that the Arab regimes had committed the 'fatal mistake' of expunging their Jews through discriminatory laws. 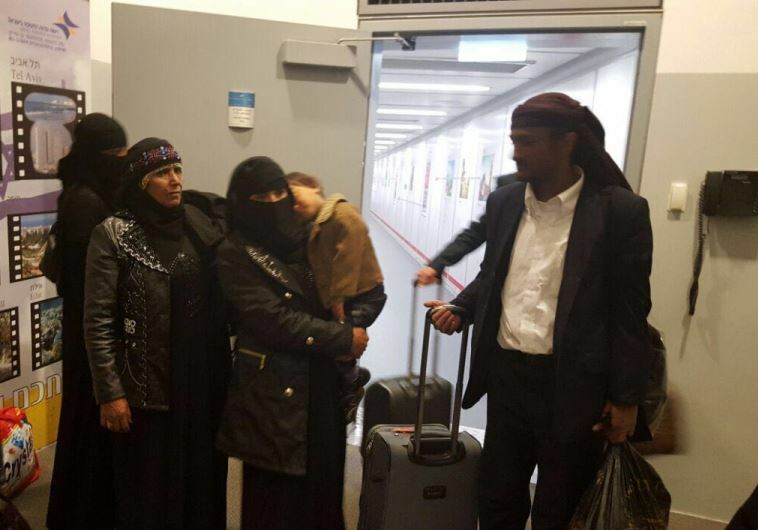 On March 21, 17 new immigrants from Yemen landed in Israel. These are Jews who were born in the war-torn Muslim nation and brought to Israel in a secret operation, aided by many international players. The Jewish Agency, which works to encourage the immigration of Jews throughout the world to Israel, oversaw the operation. The secrecy of the operation did not only stem from the fear that Islamic elements would try to thwart it, but also from a fear that Jewish elements would actually try to foil the immigration of Yemeni Jews to Israel. These would be the Satmar Hasidim (ultra-Orthodox community), who are considered anti-Zionist and based in New York. According to Jews who have previously emigrated from Yemen, since 1991 Satmar Hasidim have tried to prevent Yemeni Jews from moving to Israel and have encouraged them to move to the United States instead. According to the Yemeni immigrants, the Hasidim told them that in Israel they could not keep their faith and customs, and that their children would leave the faith. Indeed, in recent years many Yemeni Jewish families have immigrated to the United States and settled in the towns of Monsey and Monroe in New York State, and the Hasidim have helped them financially. The media has reported on some cases where Yemeni Jews were allegedly kept in the United States against their will. “Their [Hasidim’s] method is based on disparaging the State [of Israel],” said Shlomo Jerafi, a 74-year-old veteran immigrant from Yemen who told Al-Monitor he has been active in recent years in all the operations bringing Yemeni Jews to Israel. Video has emerged of Iranian Jews preparing for the upcoming Passover festival by baking matzah, the unleavened bread that is the key traditional food eaten during the festival, the Times of Israel reports.The story feeds the official regime line that Jews in Iran are free to practise their religion. But they labour under sharia restrictions and inequalities, and are constantly watched by government secret police. The video, published by the Kikar Hashabat website last week, shows several members of the Tehran community manning a small matzah-baking production line. 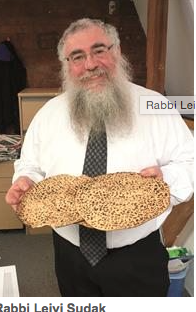 Strict religious rules govern the method and baking time for matzah to ensure that the bread doesn’t rise, producing instead flat, wafer-thin, brittle loaves. Similar baking sessions are held in Jewish communities around the world in the runup to Passover, which begins this year on Friday night, April 22. The seven-day festival celebrates the exodus of the Jewish nation from slavery in Egypt over 3,000 years ago. Iran had between 80,000 and 100,000 Jews before the 1979 Islamic revolution but most have since fled, mainly to the United States, Israel and Europe. There are now only about 8,500 people left, mostly in Tehran but also in Isfahan and Shiraz, major cities south of the capital. SANA'A - The 67 Yemeni Jews who refused to join the recent secret airlift to Israel organized by the Jewish Agency are now seeking to follow suit. Sources in Yemen report that the group, comprised mostly of children and the elderly and located in the capital Sana’a and in the neighboring province of Amran in the city of Raydah, has been subject to constant harassment because most of their friends, neighbors, and community elders have left for Israel. Those who remained behind have confirmed reports that the spate of publicity accompanying the mini-exodus and showcasing the 600-800 year old Torah scroll that the emigrants took with them has effectively drawn targets on the backs of those who opted out of the airlift. “The Jewish Agency’s decision to release the news about the manuscript arriving in Israel caused us even more seclusion. In Raydah, they treat us like strangers, even though we are Yemenis just like them. Our religion, which is different from theirs, has caused them to look at us with inferiority. They have fenced our houses in with stones and cut off the roads leading to our homes so that we do not escape or to make it difficult for us to get food or any other supplies we need into our homes,” he explained. Although The Media Line was told that since the airlift and the rabbi’s departure the fear is that all Jewish rituals will become extinct in Yemen, it’s still possible to travel to Sana’a where a rabbi remains and the situation is not as bleak. In fact, not everyone who chose not to board the Jewish Agency flight did so out of fear. For some, it was an economic decision. Saeed Al-Natehi and his wife Muzal Bint Uda, were unable to sell their home, a three-story structure with a large yard enclosed by a stone fence and an asking price of about $320,000 where they live with their three daughters, a son and two grandchildren. Muzal says they will join the others as soon as their home is sold – which should not be long. Muzal notes that she and Saeed have received offers from their Muslim neighbors. In sharp distinction to Rayda’s Jews, those in Sana’a were close-mouthed, refusing to discuss their situation or reasons for not having left for Israel when approached by The Media Line. Of those who did offer comments, one Sana’a resident said the silence is due to “security reasons” while another said that he cannot afford to buy a ticket to leave. That, however, seems unlikely given the Israeli government’s commitment to relocate Yemen’s remaining Jews. It comes as a surprise to many that Jews are not officially prohibited from leaving Yemen. Khalid Al-Shaif, chief of Sana’a’s International Airport, told The Media Line that, Jews are free to leave the country and there is nothing stopping them. He explained that, “They are Yemenis, who are subject to the same rules as other citizens. We check their bags, and see their exit and entrance visas. Being Yemenis, we treat them as such; there is no religion-based bias at all,” said Al-Shaif. This article by the scholar Mattias Kuntzel posits the intriguing thesis that an Arab war against the United Nations’ 1947 decision in favour of the partition of Mandatory Palestine was not inevitable. It deals with the after-effects of Nazi anti-Zionist propaganda in the Arab world and the antisemitic campaign of the Mufti of Jerusalem, Hajj Amin el-Husseini, who was supported by the Muslim Brotherhood. The expulsion of the Jews in Arab lands was a direct result of the Arab resolve to go to war. Even though the Arab world rejected the Partition Plan, there was at the same time a general reluctance to go to war, not only among the Arabs in Palestine but also among the governments of major Arab League states such as Egypt. It was the mobilization of the Muslim Brotherhood that caused the Arab League to embrace the Mufti, a Nazi-collaborator and war criminal, as leader of the Palestinian Arabs. By staging destabilizing mass demonstrations and a murderous campaign of intimidation, Hajj Amin el-Husseini and the Muslim Brotherhood dragged Egypt and other Arab states into a full-scale war against the Jews of Mandatory Palestine. The inability of key Arab actors to stand their ground, combined with the cowardice of the Western powers who tacitly anticipated a Jewish defeat, paved the way for one of the most fateful turning points in twentieth-century history, one that has shaped the Middle East conflict to the present. The Setting: On 29 November 1947 over two-thirds of the United Nations membership voted in favor of General Assembly Resolution 181 proposing a partition of Palestine: 56% of the mandate territory was assigned to a Jewish state and 43% to an Arab state, with Jerusalem under international administration.1 The Jews in Palestine danced for joy in the streets all night. The following day, eight Jews were murdered in three Palestinian Arab attacks. The Arab war to prevent the implementation of the UN resolution had begun. The above raises the following questions: Are there elements of continuity between the Nazi war of 1939-45 and the subsequent Arab war against Israel? If so, what do they reveal about the history of the era? I hope that this paper will stimulate further research into these questions. More controversial, however, was the question of whether military force should be used to thwart a two-state solution. In 1947 most Arabs in Mandatory Palestine were opposed to war. Tens of thousands of them had found work in Jewish-dominated economic sectors such as citrus fruit production. Moreover, they were aware of the Zionists’ military strength. As Ben Gurion noted in February 1948, “most of the Palestinian Arabs refused, and still refuse, to be drawn into fighting.”10 In his groundbreaking study of Palestinian collaborators, Hillel Cohen introduces many examples of stubborn resistance on the part of Palestinian Arabs to their leaders’ calls to arms, of non-aggression pacts with nearby Jewish communities and of denial of assistance to the Mufti’s forces. Foreign policy considerations, however, were not the only reason for the Arab League’s cautious stance. In private, some Arab leaders were not as unhappy with the partition plan as their public statements suggested. As Transjordan’s ruler King Abdullah stated: “The partition of Palestine was the only viable solution to the conflict.”17 The Secretary-General of the Arab League, Abd al-Rahman Azzam, expressed a similar view. According to a Jewish Agency report of August 1946, “there was only one solution, in his view, and that was partition… But as Secretary of the Arab League he could not appear before the Arabs as the initiator of such a proposal.”18 Therefore, “before the Arabs” Azzam placed exactly the opposite position on the agenda. In conclusion, while the Arab world unanimously rejected partition in public, it was divided regarding embarking upon a regular war. Why then did this war – so costly for both sides – take place? Why, out of a range of possible responses to the partition, did the most extreme, that of Hajj Amin el-Husseini, prevail? We must now look at his activities prior to the outbreak of the war. In 1944, “Germany agreed to supply us with arms for the approaching tasks, and to this end created a large store with light arms suitable for guerrilla action… In addition, the authorities put at our disposal four light, four-engine airplanes for the transportation of war materiel to Palestine, to be stored in secret shelters, for the training of Palestinian fighters and for their preparation for the battles to follow.” The material included “tens of thousands of rifles, machine guns and light weapons and great quantities of equipment and ammunition.”20 As part of this effort, in October 1944, five parachutists in German uniforms landed in the Jordan Valley on a mission to hide boxes of weapons previously dropped by the Luftwaffe. While these may have been isolated events, they do indicate that there was a direct link between the Nazi war effort and the subsequent struggle for Palestine regarding the supply of weapons. Similarly, continuity with the Nazis existed on an individual level. One of the October 1944 parachutists was Ali Salameh, who served as a major in the Wehrmacht at the time. 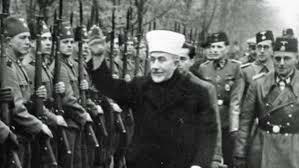 During the 1947/48 war, he was a commander in the Mufti’s jihad army (al-jihad al-muqaddas) where he chose another German Wehrmacht officer as his adviser.21 The jihad army’s most famous commander and its leader in Jerusalem, Abd al-Qadir el-Husseini, had also been a Nazi collaborator who had participated in the defense of the pro-Nazi regime in Baghdad. This report was later confirmed by researchers who found that at least 520 Bosnians, 67 Albanians and 111 Croatians came to Syria or Beirut in order to fight in Palestine. For example, on 14 March 1945, “a party of 67 Albanians, 20 Yugoslavs, and 21 Croats, led by an Albanian named Derwish Bashaco, arrived by boat in Beirut from Italy. A Haganah report mentions that there was a German officer among them. They were hosted by the Palestine Arab Bureau and made their way to Damascus to join the ALA, &ndash the Arab Liberation Army.23 These former Wehrmacht soldiers did not play a significant military role, but their presence had a political importance. They embodied the continuity of the anti-Jewish war of extermination initiated by the Nazis. The Jews regarded their presence as proof that what was at stake in the 1947/48 war was nothing less than a repetition or continuation of the Holocaust. At the end of May 1946, when the Mufti arrived in Cairo, he had to remain in hiding for weeks, as he faced charges as a war criminal by Britain, the United States and Yugoslavia. Therefore, we must ask how he resumed his position as the leader of the Palestinian Arabs despite his commitment to the Nazi cause and to the side that had suffered such a bitter defeat.